In six or maybe ten years the International Space Station (ISS) will come to the end of its operational life. To ensure that we can continue the permanent occupation of space that has been going on since 31 October 2000 we need to define what happens beyond ISS. Given how long it takes to plan, fund and build a project the size of ISS, we believe it’s time to start the process to define a replacement now. It’s our hope that this post can start a discussion in the community on the future after ISS and we would value any constructive feedback both positive and negative to this plan. The first thing we need to do as we look to the future is determine what are the goals for a replacement? Should it just provide the same facilities as we have today or should we look beyond that? We believe we should look beyond just a direct replacement and consider the benefits that could be gained by having a multi-station architecture. With this in mind we are proposing that at least three stations be build. Two of these would be smaller single module stations, one placed at Lagrange Point 2 and the other placed in orbit around the moon. The three stations would provide different working environments. In order to provide for each of these different stations we would need to work closely with one or more of the companies that are currently planning to mine asteroids, water would be the primary resource that would need to be supplied, other resources would be provided based on need. This approach would also require that crew providers have the ability to send people beyond LEO and return them at the end of the mission. For the direct replacement we have opted to utilize commercial platforms (planned or existing) rather than spend money developing our own system. Where a commercial option isn’t currently available we will discuss plans for these and seeing if a commercial option could be adapted to meet the needs. This would be the first station that is built so that we can continue our permanent occupation of space. Standard crew size of 6-12 people. Temporary crew size up to 18 people. Minimum of three crew vehicles at same time. Minimum of two cargo vehicles as same time. The only commercial option currently available to meet these needs are the Bigelow Aerospace modules currently under development. 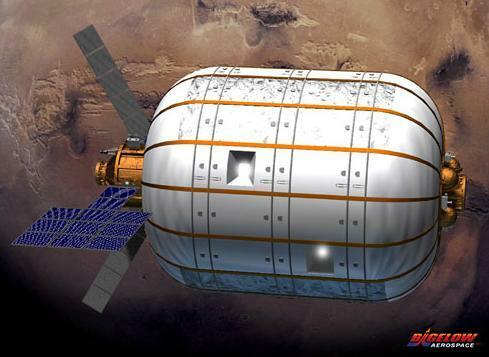 Bigelow are planning to launch at least one of their BA-330 modules in the 2017 time frame assuming that there is at least one Commercial Crew provider available to launch crew to the station. Each BA-330 module provides 330m3/11,654ft3 of space. In order to connect these module and provide access points for Cargo and Crew vehicles we will be using inter-connecting modules, these would provide the visiting vehicle docking locations, as well as providing at least one airlock. Each BA-330 module is self contained providing it’s own power needs, life support and hygiene facilities. Based on this we are opting to use three BA-330 modules, this will provide more space than is currently available on the International Space Station, additional space will be available inside the connecting modules. 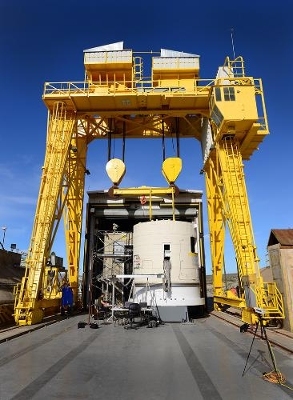 At least one of the interconnecting modules will be used to supplement the power generation facilities provided by the BA-330 modules. Additional life support systems will also be available as a backup to those provided by the BA-330. Initially the stations that are placed beyond LEO would be single BA-330 modules and would support a crew of four. Due to the distance to the station additional storage would be needed to ensure the crew had an adequate supply of food, etc. The stations would be upgraded over time based on demand including the additional of more BA-330 modules or large depending what is available. These platforms would only be viable if at least one Commercial Crew and Cargo provider could demonstrate the ability to delivery to these remote destinations. As the ISS gets older it will require more significant maintenance to keep it in orbit, in addition Russia are now taking about detaching there modules from the station in 2024, if NASA were to keep the station in orbit after this they would need to replace at least the Zvezda module as this provides the propulsion needed to move the station if needed to avoid space debris. With this in mind we believe it makes more sense to fund the development of new commercial stations rather than creating modules for the ISS and have to deal with older components failing and having to be replaced too. The views expressed in this article are my own, if you would like to join the discussion on this please comments below. 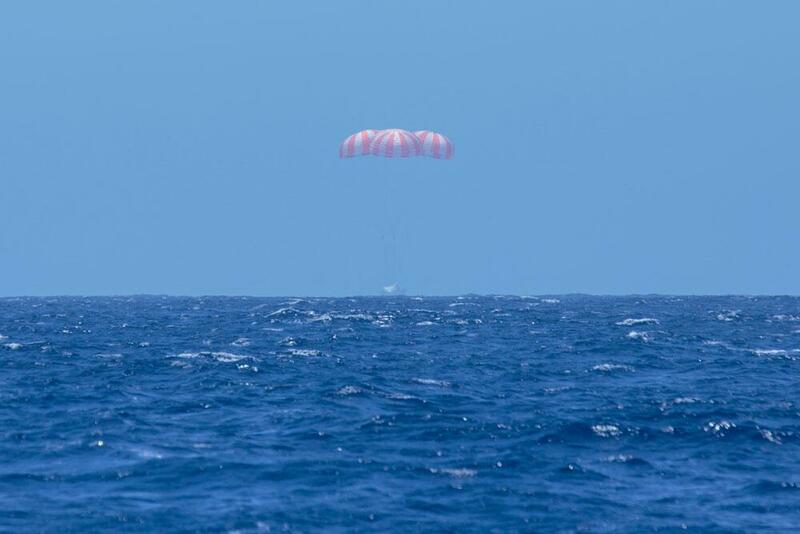 Last Sunday at 3:05pm the SpaceX Dragon capsule successfully completed it’s CRS-3 mission to the International Space Station (ISS) with a splashdown in the Pacific ocean. Launched on April 18th aboard a Falcon 9 rocket the Dragon spacecraft, carrying nearly 5,000 lbs of supplies and payloads including two in the un-pressurized trunk, the craft was deployed to orbit following the successful launch. On April 20th the craft was captured by the station’s robot arm and berthed allowing access to the cargo. 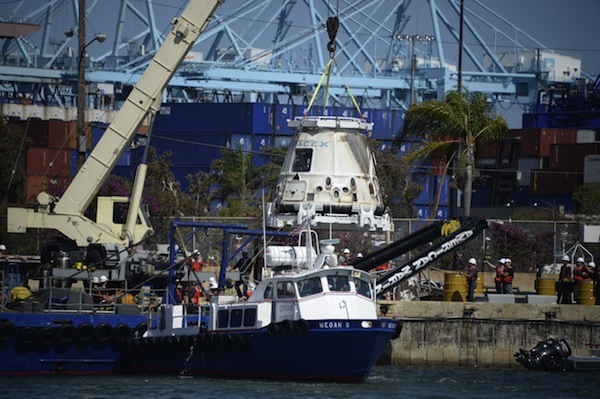 On Sunday the craft was unberthed from the station carrying 3,500 lbs or cargo. After successfully backing away from the station, later in the day the craft was commanded executed de-orbit burn which concluded with the splashdown. This was the longest orbital mission so far for Dragon at 29 days, 23 hours and 40 minutes. On Tuesday the spacecraft arrived at the Port of Long Beach in Southern California where time-sensitive cargo was off-loaded and handed over to NASA, the spacecraft will now travel to the test facility in McGregor, Texas where the rest of the cargo will be off-loaded and handed over to NASA. On Wednesday it was reported that during the landing there was some water seepage into the spacecraft after the landing, however it doesn’t appear that this caused any issues with the experiments on board. However due to this event NASA will require resulting from an investigation by SpaceX and any changes needed to avoid this happening again before the next Dragon flight will be approved. Aerojet Rocketdyne announced on Monday they had received a contract to supply six RL10C-1 engines, with an option for six additional engines. These engines will by used by the third stage of the revolutionary air-launch system being build by Stratolaunch Systems Corporation (SSC). The three stage rocket being developed will be dropped from a carrier aircraft when it reaches the desired altitude, once released the rocket will begin it’s power flight into orbit. Following on Russia’s announcement that they don’t extend operation of the International Space Station after 2020. This week they have signed an Space Exploration agreement with China instead. Even more reason for the US to move away from dependence on Russia to get into space. Each of the partners in the Commercial Crew Program made progress in the latest press release from NASA. Boeing – Completed most in-depth evaluation of software planned to operate the CST-100 spacecraft. SNC – Put models of it’s Dream Chaser spacecraft through rigorous wind tunnel tests to help refine the final design. SpaceX – Conducted an integrated critical design review to demonstrate major hardware and software elements of the Dragon/Falcon 9 vehicles. Recently NASA selected three private Moon Lander concepts for non-funded agreements as part of the agencies quest to land robotic craft on the moon. The companies Astrobotic Technology Inc, Masten Space Systems Inc and Moon Express Inc will now proceed to the next stage of negotiations for Lunar Cargo Transportation and Landing by Soft Touchdown (Lunar CATALYST) initiative. The Government Accountability Office report on the Space Launch System and Orion spacecraft indicates that NASA has masked the true cost of being the pair by neglecting to say what the system will cost to build for each flight. So far there are only two missions slated for the combined vehicle and the estimated cost through 2021 is $22 billion. While I believe NASA needs to have a crewed vehicle for deep space missions it would be interesting to see what SpaceX or another commercial company could create for $22 billion. For more information check out the full article here. Two new camera’s designed to image Jupiter class planets orbiting other stars and their atmospheres have been brought online. The European Southern Observatories Very Large Telescope camera Sphere saw first light on May 4, and the Gemini Planet Imager (GPI) at the Gemini South Observatory has reported back on data gathered from it’s first light. The full article including video can be found here. Dust and gas around the star HD142527, as seen by ALMA in red and respectively green. Japanese researchers announced the discovery of a site of planet formation around a young star in the Lupus Constellation in the southern sky, it’s name is Latin for wolf. 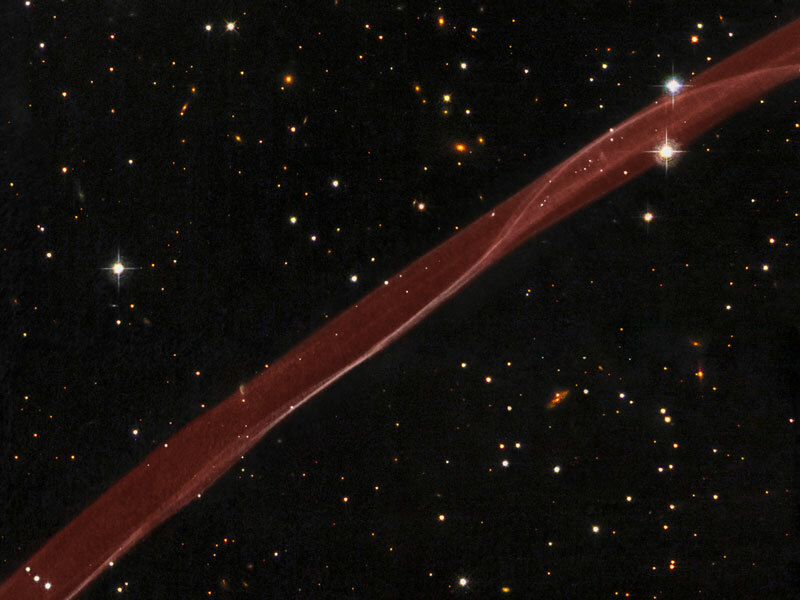 The researchers found a proto-planetary disk around the star HD142527 and the dust appears to be concentrated in the upper part of the ring. The observations where made using the Atacama Large Millimeter Array (ALMA). This week Elon Musk received the Robert A. Heinlein Memorial Award during the 22rd annual International Space Development Conference, after receiving the aware he talked further about the progress that SpaceX was making towards a permanent base on Mars and also more on the re-usable rocket tests. The FAA have issued regulations establishing requirements for crew and space flight participants involved in private human space flight. The new rules maintain the FAA’s commitment to protect the safety of the public. The full article can be found here, including a PDF of the rules. NASA and ATK moved a step closer to the 2017 launch of the first SLS this week with the completion of a significant structural test of the booster’s main attachment mechanism. The article tested was a major load-bearing structure known as the skirt. NASA’s Mars Exploration Rover spent several months exploring portions of Murray Ridge. Since reaching the local high point on the ridge line from which this panorama was taken, the rover has proceeded southward to reach an exposure of aluminum-rich clay detected from orbit. Full panorama can be found here. 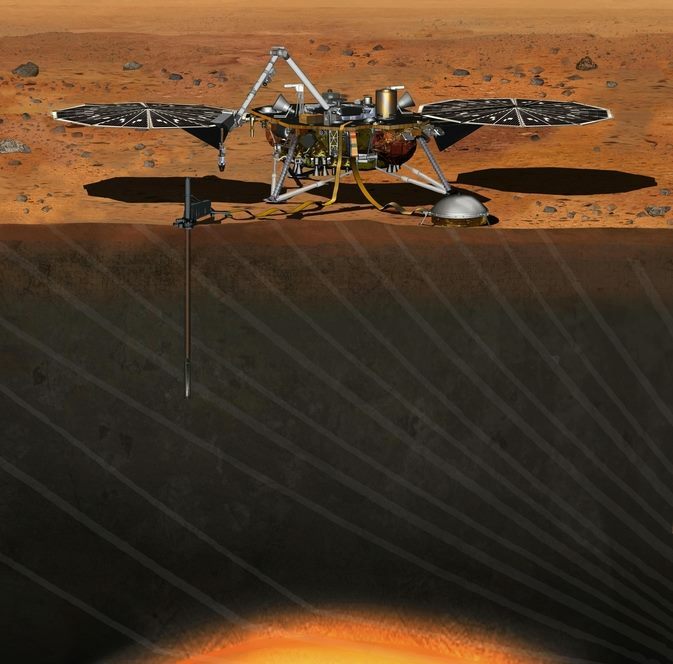 Construction has begun on the new Mars lander Interior Exploration Using Seismic Investigations, Geodesy and Heat Transport (InSight) is scheduled to launch March 2016 from Vandenberg Air Force Base. This will be the first interplanetary mission ever to launch from California. The mission will provide NASA with information toward their goal of sending a human mission to Mars in the 2030s. Most people know of Pluto which for a long time was the 9th planet before being demoted, however there are many more objects beyond the last planet Neptune that many may not be aware off. The following article introduces one of those objects a planetoid in the outer edges of our solar system called Quaoar. Discovered in 2002 it heralded a new age in Astronomy, this and a few other worlds being discovered caused the International Astronomical Union to form a new classification system for planets, planetoids and dwarf planets. The full article including artist concepts of the object can be found here. This week Boeing and Samsung announced a collaboration on ways to incorporate the latest mobile technology into Boeing’s CST-100 spacecraft. Under the agreement they will start to identify how mobile technology can be used to improve CST-100 crew and mission operations. Seeing how rapidly Samsung brings to market new devices it will be interesting to see how this works out and what technology is added to the CST-100. SpaceX has re-aligned the next launch to No Earlier Than (NET) June 11th. The delay were caused by a Helium leak in the first stage that was found during fueling for the Static Fire Test. This leak was a different location to a leak that delayed the CRS-3 mission, although further details were not available it seems likely that it was around the Composite Overwrap Pressure Vessels (COPV) which are used to pressurize the vehicle. It is not clear yet if the issue has been repaired but SpaceX are working towards this date and a new Static Fire will be performed at some point before then. The Planetary Societies Blogger Casey Dreier posted this week a response to all the coverage of the ISS suitation since Russia made statements regarding the status of the station. Firstly there were two issues in the statements, one relating to the RD-180 engines which has been covered previously and the second relating to the station. In summary the current operation plan for the station runs until 2020, NASA with the approval of the White House proposed to extend this until 2024, however as of yet none of the other partners had actually signed onto this new plan. However it was originally thought that Russia were interested in the extension however since the tensions over Ukraine that no longer seems to be be case. However given that there are over six years left in the current operational plan there is nothing to say the situation won’t change again. Casey’s full blog article can be found here. The free-flying Spheres modules on the International Space Station will now be aided by Google’s Project Tango to assist the crew in mundane tasks. Project Tango is a smartphone project by Google’s Advanced Technology and Projects group which tracks the 3D motion of the device and create a 3D model of the environment around it. The Spheres modules short for Synchronized Position Hold, Engage, Reorient, Experimental Satellites has been tested on the station since 2003 and with this latest upgrade will be able to perform more functions. The Spheres project was originally inspired by Star Wars. In further SpaceX news this week details of the DragonFly test vehicle became available. The vehicle will be tested at SpaceX’s McGregor facility and consists of a 7 ton Dragon capsule equipped with eight SuperDraco thrusters, an integrated trunk and up to four landing legs. The vehicle will be put through a series propulsive landing tests to validate the design and to enable future Dragon vehicles to perform a land based landing. Further details and a demonstration video can be found here. One of the Aerojet AJ-26 main engines for the Antares rocket suffered extensive damage during a test firing at the Stennis Space Center this week. Before the engine’s can be used for an actual launch they are test fired to verify everything is working correctly. At present it is not known if this failure will have any impact on the June 10th launch of an Antares carrying the Cygnus spacecraft on it’s next visit to the ISS. Today Mike Suffredini, the Manager of the International Space Station made several announcements today during a teleconference aired live on NASA’s web site. Here is a summary of them. Mike confirmed today that they had just completed a comprehensive upgrade of the Computer Software and Hardware used to control the space station systems. These upgrades included process and memory upgrades as well as changes to the software to utilize the new hardware. The upgrades where performed by the crew over the last couple of months and where completed after the docking of the latest Progress vessel last weekend. During testing of the next Soyuz crew vehicle the craft was exposed to significantly higher pressures than planned which resulted in significant damage to the craft, after investigation it was deemed unusable for flight. As a result of this failure the next flight to the station has been delayed until May, similarly to ensure that station is only reduced to a three man crew for two weeks the return of Dan Burbank, Anton Shkaplerov and Anatoly Ivanishin has been moved to the end of April. These delays will also impact the other crew rotations this year but they expect to be back to normal by the end of the year. The Russians have created a commission to look into what happened and what changes are needed to ensure this doesn’t happen again. Mike expressed confidence that they would quick identify the cause and correct it. Mike also announced that they were tentatively looked at March 20th for the SpaceX Dragon launch to the space station, however he did explain that this was still a very tight scheduled and felt that it may end up being in early April. Mike explained that during testing a number of issues had been found and all of them had to be addressed before SpaceX would be allowed to fly. When asked about impact on station Mike explained that they still had plenty of margin with what was on the station into 2013 and if it because necessary they would look to utilize Progress and other vehicles to transport payload until Commercial deliveries where ready. They were not going to rush this and none of the partners would be flying until all parties where confident that they were ready. Mike also explained that Orbital were addressing issues and believed that there first launch would slip, he wasn’t able to say by how much and didn’t go into details about what issues where being addressed. During Q&A after the announcements Mike was asked about the potential of having to buy more seats on Soyuz due to the reduced funding for Commercial Crew, he explained that they were looking into the impact of this and working with the partners to determine when they believed they would be ready to fly. Once they had that information they would then know what if any additional seats where needed after the end of the current contract. Negotiations for these if needed would have to start in 2013 but only after the necessary legal blocks where handled, they have already started the process of dealing with these so that if needed they could proceed with the negotiations if needed. The full teleconference can be heard here.